**Updated November 2017 to add a video tutorial link. My reply to that statement is always, “But I am too impatient not to knit!” They don’t understand that knitting gives us the opportunity to multitask on an as needed basis: standing in line, during a long drive, in airports, waiting for the movie to start, watching TV or attending a game. I’ve done all of the above but had limited success with the last one. A goal would be scored, we’d all jump to our feet and inevitably my knitting would slide down to embed itself in the muddy side lines. We don’t fare well when compared to other crafters either. Needleworkers spend hours sorting and organizing thread colors and sewers spend less time at their machines than they do cutting, ironing and pinning. Not us, we’re always rushing past the cast on to get to the good stuff, and end up with projects we are unwilling to finish. We’ve even coined terms to describe our low threshold for boredom – second sock syndrome and UFOs, for example. Alas dear knitter, I am here to ask you to savor the cast on. To appreciate its ability to add form and function to your project. To use three or four (gasp) rows to craft the look and feel you want for the project that is next on your needles. It’s a post long overdue since it’s about a Nuance I’ve been including in multiple projects including the Fiftyfifty Shell published in Knitty this spring. 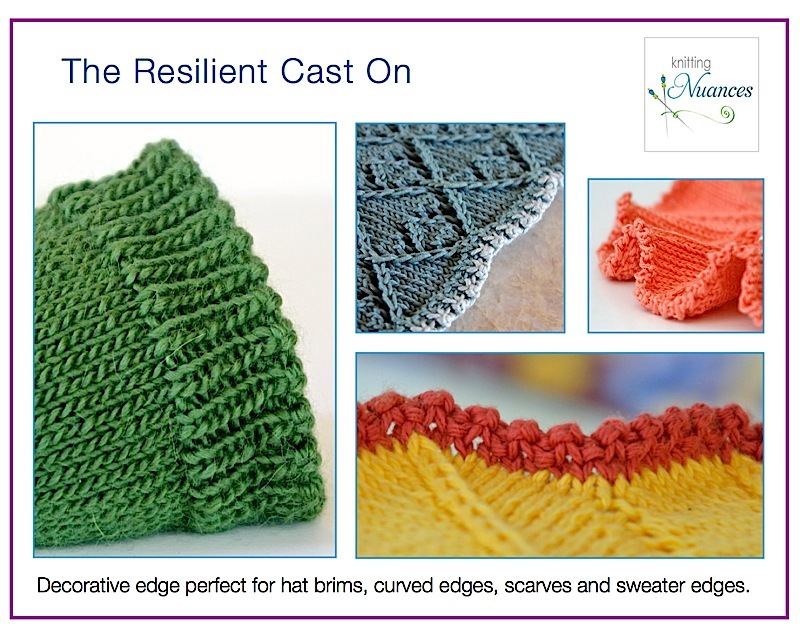 The Resilient Cast On The core idea behind the Resilient Cast On is to cast on 1/3 more stitches than you will be working. 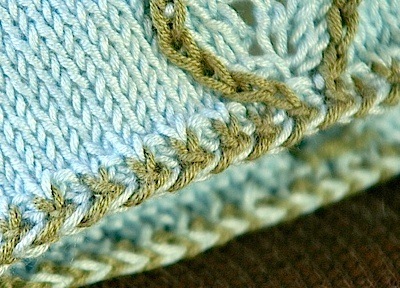 The extra stitches are immediately reduced by passing one over another every other stitch (yarn on; yarn off). All was not for naught however, because those extra stitches make for a lovely nubby edge and, as importantly, add some flexibility. This makes the edge perfect for hats, socks, sweaters and wavy edges. Move right into a 1×1 rib with pretty end points. Add contrasting color after a few rows for a smooth color change. Change colors after the first row for an interesting staggered color look. There is also a 2-color and lacy edge option we’ll discuss in an upcoming post. So, if asked if knitters are patient or impatient I would clearly come down on the side of impatient but I am hoping you’ll give this cast on a try. It’s worth your time and you’ll be so glad once you’re done (no UFOs here). You can also check out our Two-Color Resilient Cast On in this post . Resources As always our tutorials are available for free on our website. **New* There is a video on our new You Tube channel that will show you how to work this cast on. 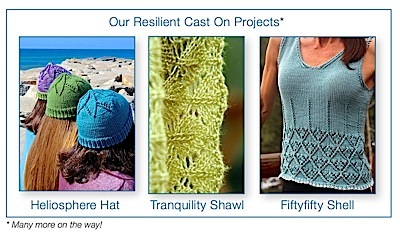 Is there a corresponding bind off for the resilient cast on. Yes, it’s not an exact match, but pretty close. It’s one of the ‘need to announce’ Nuances I mentioned in my last post. Will be available really soon. 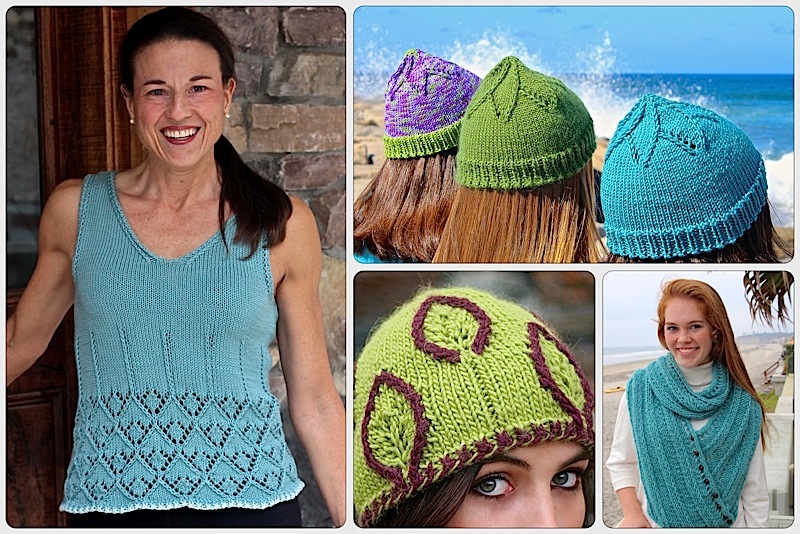 This entry was posted on May 15, 2014 by Laura Cunitz in Edges, Nuances, Videos and tagged Knit Cast On, Nuances.